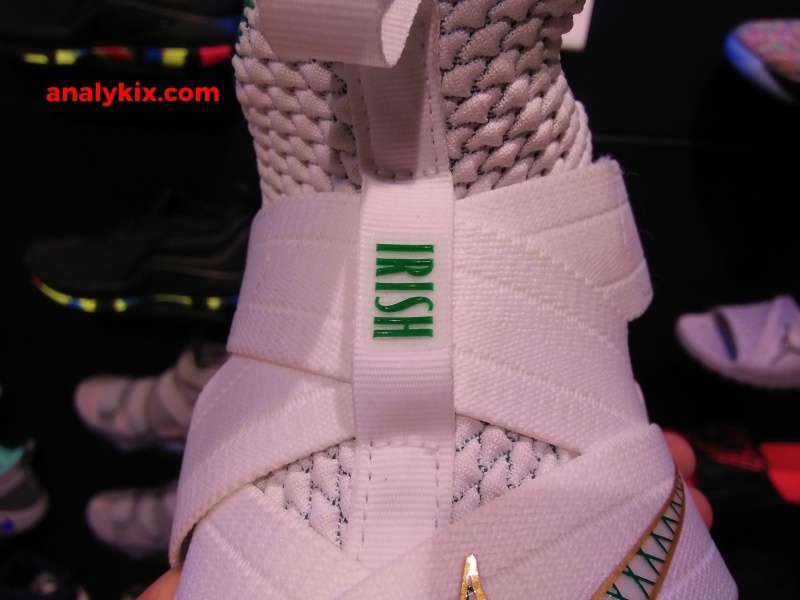 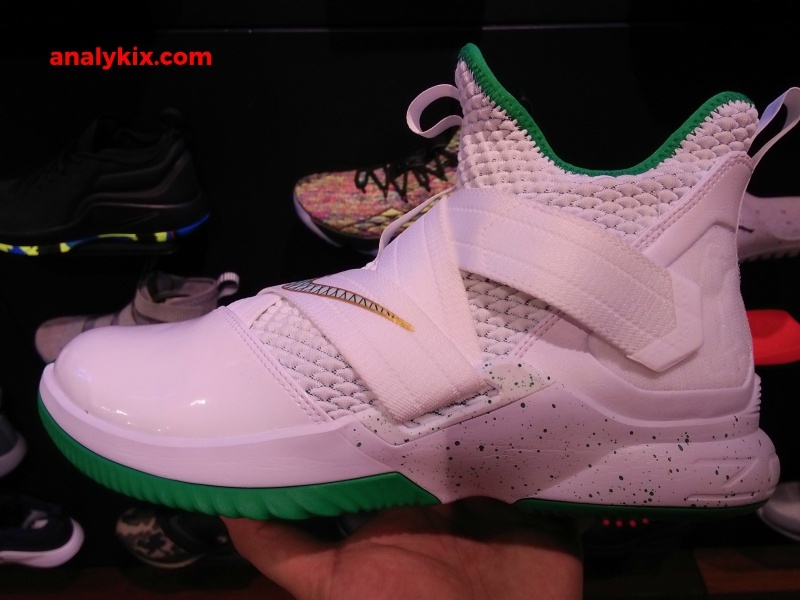 Honoring Lebron's high-school, St. Vincent-St. Mary Fighting Irish, Nike made this nice colorway of the Nike Lebron Soldier 12. 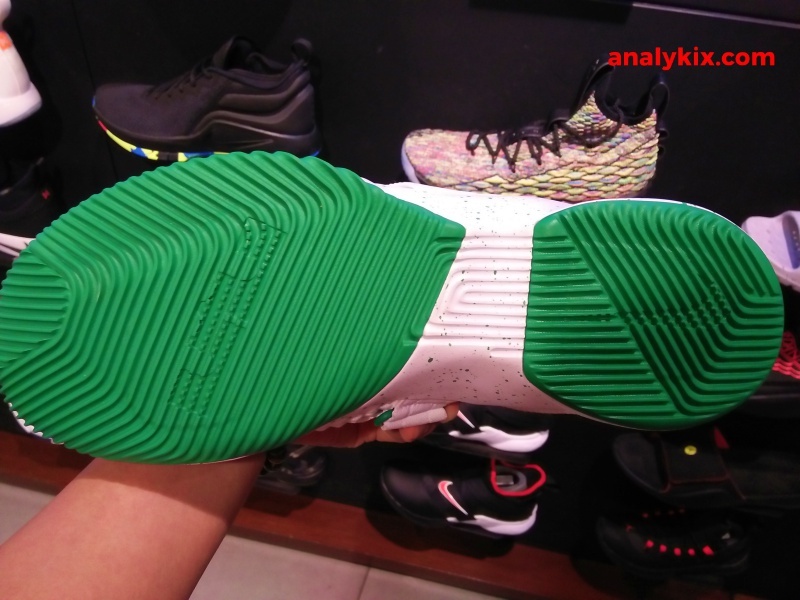 This could be another hit colorway aside from the Bred colorway and light bone. 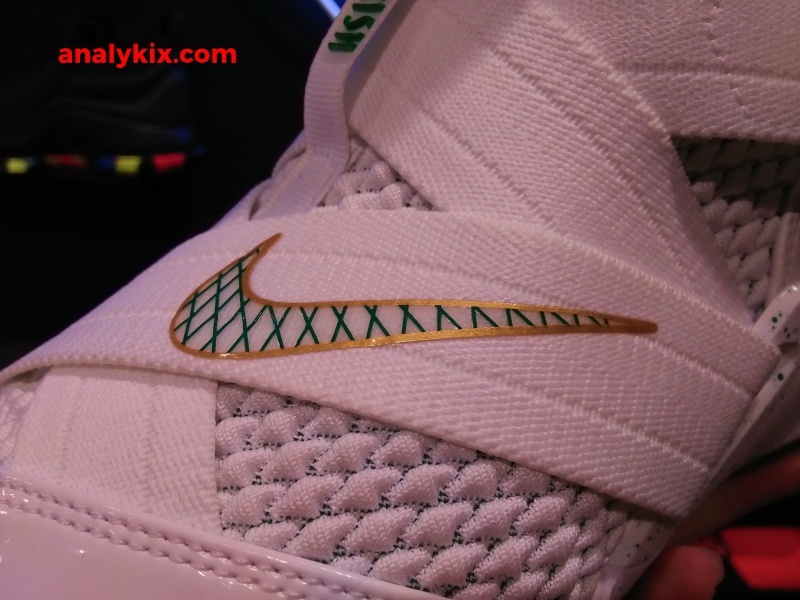 White Battleknit in the midfoot area with white patent leather in the toe area makes the whole color scheme clean with some green and gold hits makes this very suitable for the Fighting Irish home colorway. 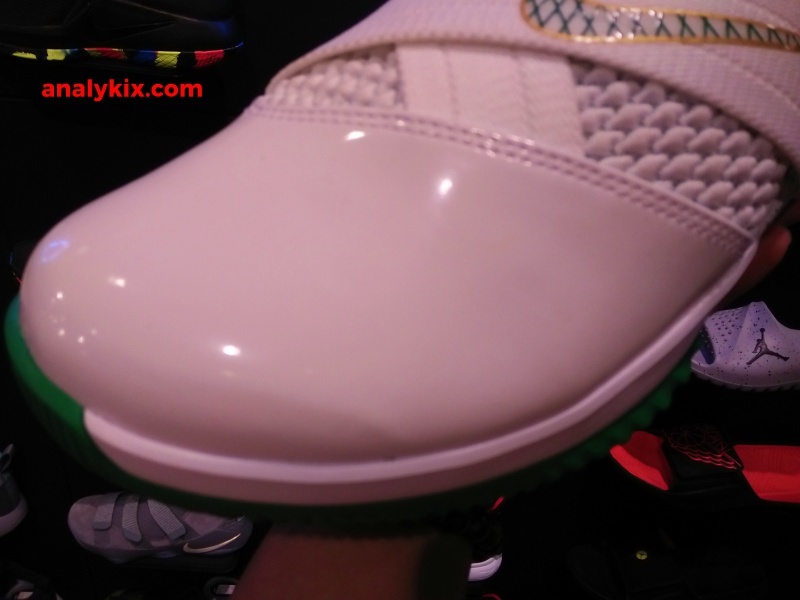 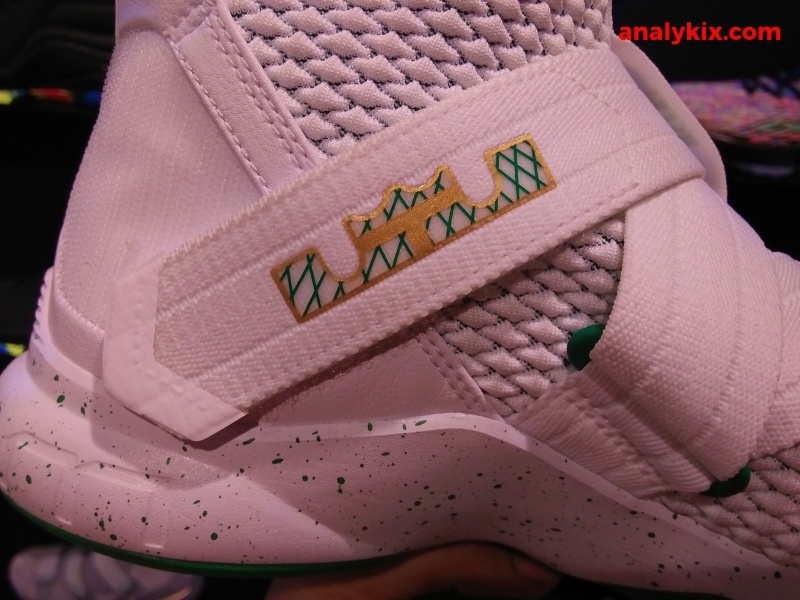 The speckled midsole houses the forefoot and heel Zoom Air bags and underneath is a green solid rubber outsole. 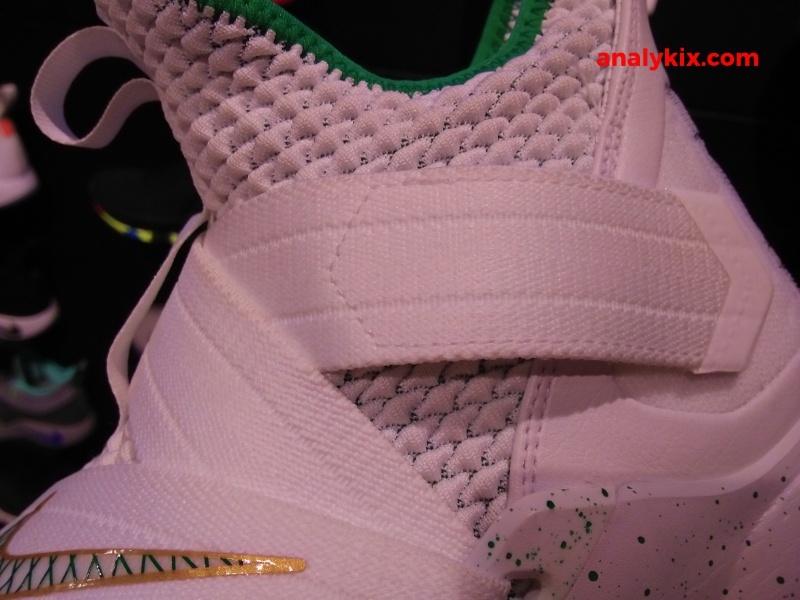 The whole colorway is very fresh and while I prefer a darker colorway in a shoe, this could be one of those times that you can consider an exemption. 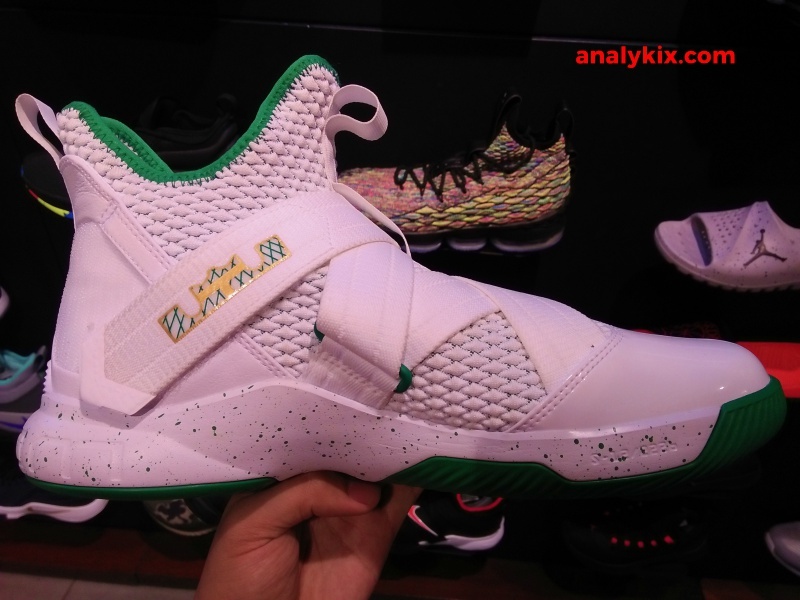 The shoe retails for Php 6,745 which you can get at Nike Park Trinoma.